Towards the end of summer, outdoor exercise can become a chore. Going to the gym isn’t always the easiest to get motivated about either. Turns out, there is a better way to get in your daily 30 minutes of exercise; you can lose weight through dance! You might be surprised to know that these slower, graceful dances can burn between 100-200 calories in an hour. That’s more than you burn running an entire mile! (And way more fun.) In addition, these dances condition your body with tremendous strengthening movements and improving balance. Depending on the music and how enthusiastic your partner is, you can burn between 300-550 calories in an hour. For one of the most iconic dances out there, this is a highly effective way to get in your workout! Although you might be having too much fun to notice, a good Cha Cha can burn more than 400 calories an hour. Plus Cha Cha music is impossible not to be excited about. Who needs a treadmill when you can Cha Cha instead? This hot and spicy social dance can help you burn up to 400 calories in an hour. The best part is that you will have so much fun, the hour will go by before you even know it! Not only is this one of the most popular social dances right now, but your heart will never be happier with this choice of cardio. Samba isn’t just fun to listen to and watch, but it burns up to a whopping 500 calories per hour! Coming in at #1, the Samba is a great way to utilize every muscle in your body, including calves, glutes, abdominal muscles, arms, and more! 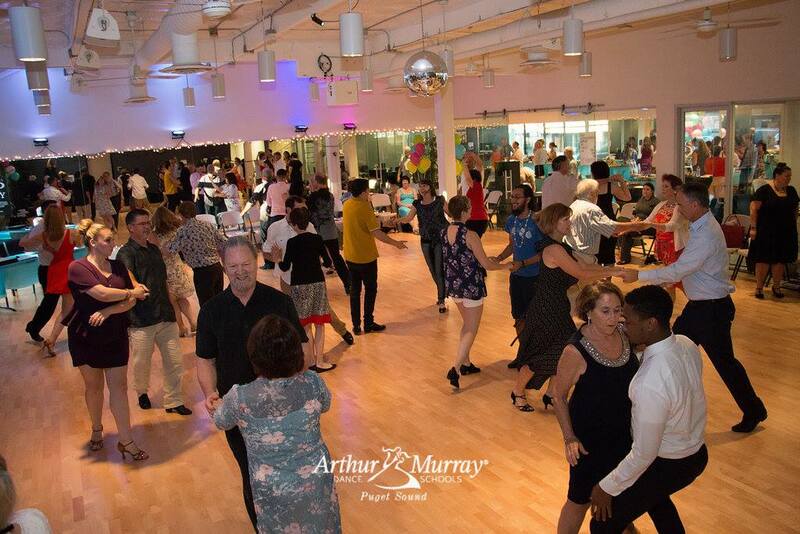 Dancing is one of the most fun indoor exercise options available and with six convenient locations throughout the puget sound, Arthur Murray Dance Schools can be your new gym! Give us a call today if you’d like to start getting fitter and healthier while having the time of your life!